A basic overview about lymphoedema is given below but the Scottish Lymphoedema Practitioners’ Network regularly update the information in NHS Inform so you may find the information there useful. The patient support charity Lymphoedema Support Network provides good quality information for patients and carers on their website, on Facebook, in leaflet form and in DVD’s. In addition, in Scotland, patients and professionals have worked within the Macmillan Lymphoedema Project Scotland (MLPS) to create a Top Tips document. Click on the highlighted links for further information. Lymphoedema is a condition characterised by swelling, often of a limb but can be elsewhere in the body, it is often slow to develop and does not tend to reduce over night or when elevated. 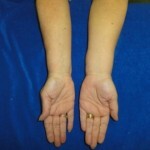 It can develop after cancer treatment, such as swelling of the arm after breast cancer treatment, or it can be completely unconnected with cancer, this may be called primary lymphoedema or non-cancer related lymphoedema. The swelling occurs when the drainage of a fluid called lymph, which we all have in our skin and in our tissues, is restricted and accumulates. This can then cause discomfort, problems with the skin and with movement or other problems. 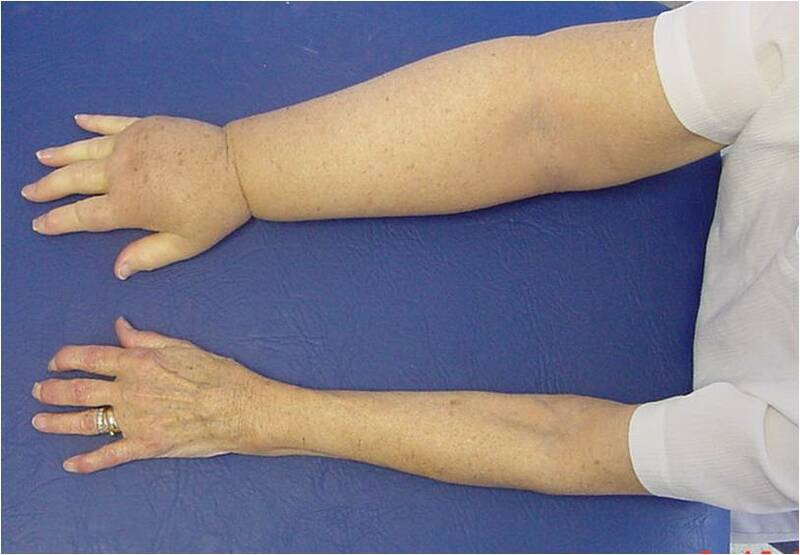 Although, at the present time, lymphoedema cannot be completely cured, new research is improving care and for many people it can be very well managed so that swelling, discomfort and functional limitations are kept to a minimum especially if picked up early in its presentation. There is a great deal that people can do to manage lymphoedema themselves but it is always advisable to get an assessment from someone who understands the condition and who is aware of any other health problems you may have before embarking on self-management. Self-Management A simple daily routine can reduce the risk of having lymphoedema related problems such as infection (cellulitis), difficulty with everyday tasks or movements and discomfort. Skin care preventing the skin from becoming damaged or dry (cracked) can reduce the chance of you getting an infection. Wash the skin every day with a neutral soap or water-based cream, dry gently then apply an unperfumed moisturiser. Some people will need a prescribed moisturiser or ointment. You can download and information sheet here: Practical tips for healthy skin. For more information on Cellulitis which is a common infection in lymphoedema and chronic leg swelling click here. Compression garments for lymphoedema should be fitted by a trained professional. They come in many strengths, shapes and sizes and are usually replaced every 6 months. Ill-fitting garments can do more harm than good so if you are experiencing discomfort, or the garment is marking your skin, go back to see your lymphoedema practitioner or doctor. Further information. Movement and exercise regular movement helps to keep your circulation flowing, including the lymphatics. Remember to start gently, warm up the muscles and joints and if you’re trying something new, build it up gradually. Armchair exercises, dancing or even housework can count. Exercising with your compression garment on increases its effect. Similarly exercises in water such as swimming or aquarobics can be beneficial. Further information. Massage very gentle massage can help clear lymph from congested tissues. Your lymphoedema practitioner may teach you a specific technique called Simple Lymphatic Drainage. Instructions and diagrams are available in a free booklet available from Macmillan Cancer Support or there are DVDs available from the Lymphoedema Support Network. 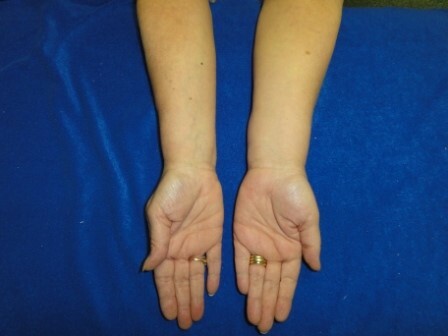 Weight and lymphoedema we know that being overweight has a negative effect on lymphoedema. Keeping to a healthy diet can have a positive effect on your lymphoedema. You may find these websites useful Weight Wise or Diet after breast cancer.